Professional Development Grants are aimed to heighten the professional visibility of female faculty and of faculty from underrepresented racial and ethnic groups. Tenure-track and tenured faculty are eligible for these grants. Grant Review Awards are designed to support grant applications to external funders for women faculty and faculty from underrepresented racial and ethnic minority groups. The Small Group Mentoring Program is designed to bring together 3-9 women and/or faculty from underrepresented racial and ethnic groups who share an interest in a broad topic, a discipline or broader disciplinary group, or a career stage. The Schwartz Research Fund for Women in the Life Sciences is awarded to Ithaca-based female faculty in the life sciences who display outstanding promise for conducting creative research with the goal of supporting an innovative pilot experiment or a significantly new line of inquiry in their current research focus. The Cook Awards honor Cornell students, faculty, and staff members for their commitment to women’s issues and for improving the climate for women at Cornell. The awards are named in honor of the late Constance E. Cook, Cornell’s first woman vice president, and the late Professor Emerita Alice H. Cook, founding member of Cornell’s Committee on the Status of Women. 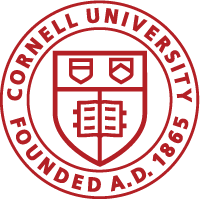 Faculty Development Grants support high potential women underrepresented in their fields and underrepresented minority candidates receiving offers for tenure-track faculty positions at Cornell. Awards are provided for research expenditures.